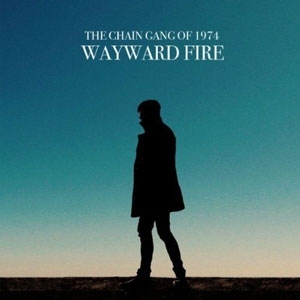 The Chain Gang of 1974 – Wayward Fire | NoCoda. What It Sounds Like: A nostalgic, full-bodied fire hose to the face of throwback bass riffs, huge new-wavy keys/synths, and massive pop choruses. Kamtin Mohager, who goes by the name The Chain Gang Of 1974, is a full-fledged hipster who is so in love with the 80s he can barely contain himself on his first major record, Wayward Fire. This dude doesn’t just want to listen to the soundtracks from Sixteen Candles or The Breakfast Club – he wants to blare them all at once and soak in their analog glory. It’s right out of Say Anything! The guitars shimmer and single icicle keyboard notes shine through the night sky while this guy bleeds his heart out in hopes that his Juliet in her room (Duran Duran poster on her wall, no doubt) will answer his call. Oh it’s super fun, especially for a nostalgia lover like myself. Kamtin’s vocals are drenched in enough effects that his deep-end delivery doesn’t sound overly produced, but enough that it may have been tinkered with just a tad too much. He keeps a steady pace throughout the record, but brings enough variation that keeps it from sounding like constant repeats, dabbling in a little bit of dance-punk on Devil Is A Lady and club beats with Hold On. The biggest complaint (if you could call it that) may possibly be the song lengths. Two-thirds of them could be classified as five-minute plus recordings, and that’s a lot of chain ganging back in 1974. Shave a little time off each of them, and they probably would have worked a little better. Speaking of the name, how in the world did this dude come up with calling himself The Chain Gang Of 1974? It’s ironic simply because: there’s nothing about this that sounds prisoner-related, or remotely 1974ish. It’s not original, no. It’s all completely borrowed from twenty-plus years ago, but it’s executed well on a grand scale. If you decide not to be judgemental on that fact, then I’m sure you’ll have a good time here. Geez, listen to those electronic drum hits (is that what they’re called?) during the chorus of Tell Me. It takes me straight back to 1986. …which was the year I was born. Granted, I don’t remember it that well (ha! ), but I can thoroughly enjoy this record all the same.